The fashion industry has a decades, if not centuries, old tradition of transforming quotidian necessities into luxury items with the addition of opulent materials. And the Young Hearted Socks company is founded on that exact principle, selling socks sewn with 24-karat gold to consumers willing to part with between $120 and $150 per lavish pair, Women's Wear Daily reports. Louis XIV would be proud. The brainchild of Kansas City Chiefs footballer Sanders Commings, Young Hearted Socks is exactly the sort of luxury loungewear company that thrives in today's economy. $1,000 leather sweatpants and $500 sneakers are currently par for the sartorial course, so why not introduce a pair of socks that could double as jewelry? Adding to the allure of the elusive golden sock is the product's scarcity of supply, Women's Wear Daily reports that a minuscule 50 pairs will make their way into the hands of eager consumers come October. Young Hearted Socks' Honeycomb Sock, as the gold-laced pair is dubbed, may be the Birkin of the sock market. Those not enticed by gilded socks can find various pattern iterations including collegiate team logos and National Geographic-themed footwear. Whatever team you root for or pastoral scene you favor printing on your accessories, Young Hearted Socks has a pair for you — if you're willing to pay the same amount as a pair of midrange designer jeans, that is. However unthinkable it may be to embrace gold socks, the gilded accessory trend is by no means new to the fashion industry. Miansai thrilled spendthrifts and shocked thrifters when the company debuted its Solid Gold iPhone 5 Case, rendered in 14-karat gold for a mere $10,000. If you choose to worship Madonna as your personal idol, a 14-karat gold grill from Goldteethgod.com may be more your speed. For a paltry $700, you can embrace the lifestyle of a hip hop virtuoso with mouth bling that puts even the most sumptuous Cartier and Bulgari gems to shame. 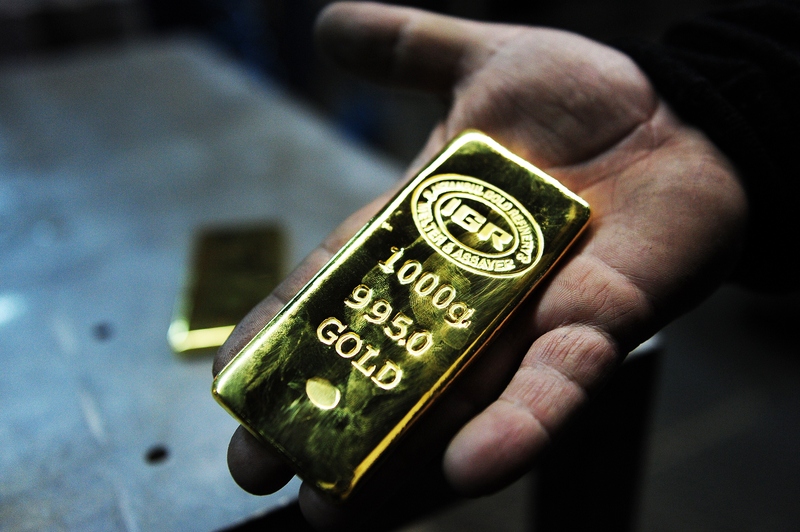 What will high-quality gold find its way into next? Only time will tell, but one could safely predict that gold-infused juices, supplements, attire, and accessories are not far in the sartorial future.